When the Chips are Down – Grow Spuds. As part of my quest to grow enough Potatoes for an entire year I wanted to have a go at growing a few in a container. I probably have enough land … just, but I am game to try all methods. If nothing else it will be a learning experience. So I hopped on You Tube to get some info from proper gardeners. One was from Utah and looked like Billy Gibbons (ZZ Top) cousin, another was Welsh and that’s almost as bad as a Manchester United supporter, but he had a fabulous greenhouse, and the third was a young bloke who spoke proper English. 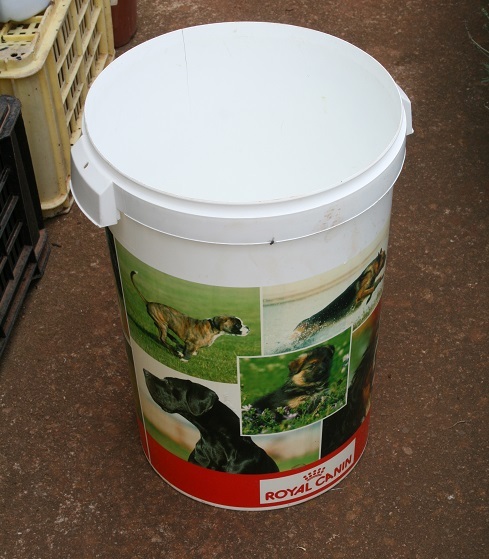 One large container … woof woof! 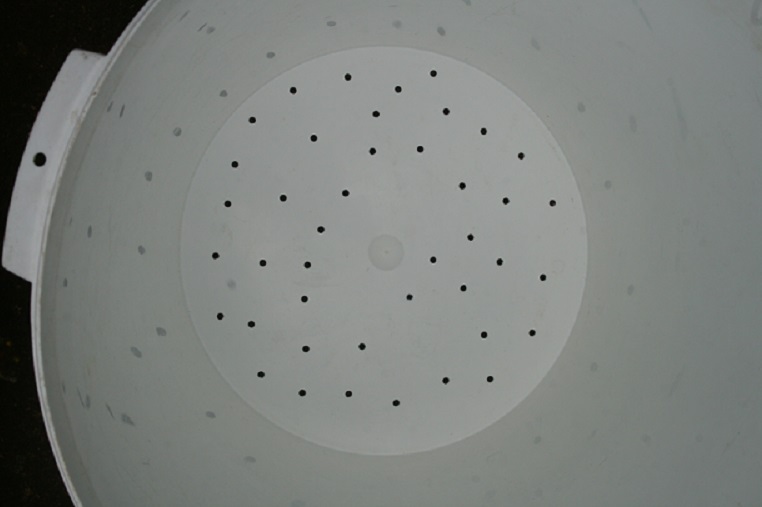 A couple of minutes to make drainage holes using my trusty solder iron. Add a few centimeters of loose soil. 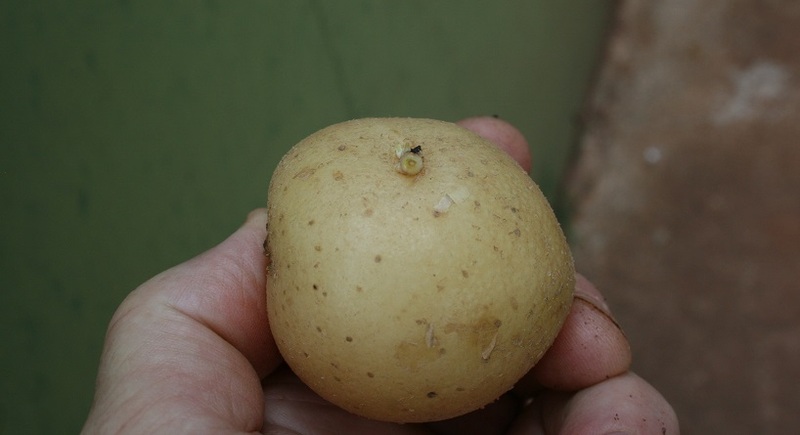 Not the best example of a seed potato but, just you wait, it has the makings of a champion! 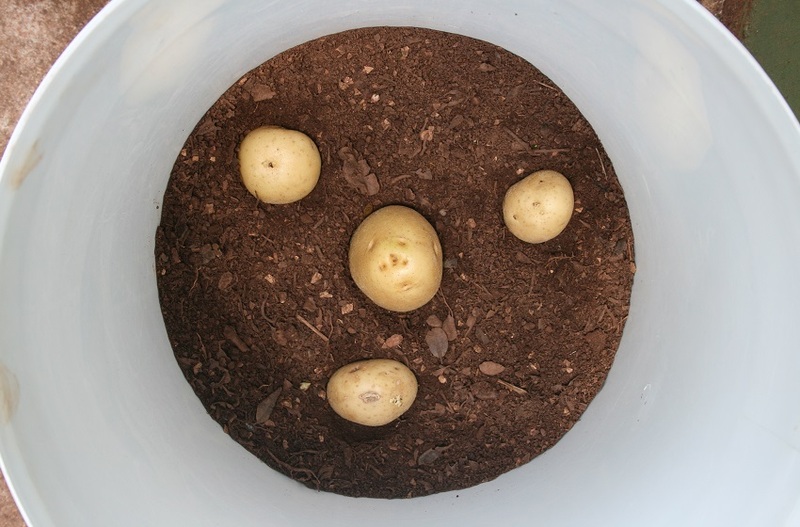 Place on soil with three of its buddies …. or should that be spuddies? 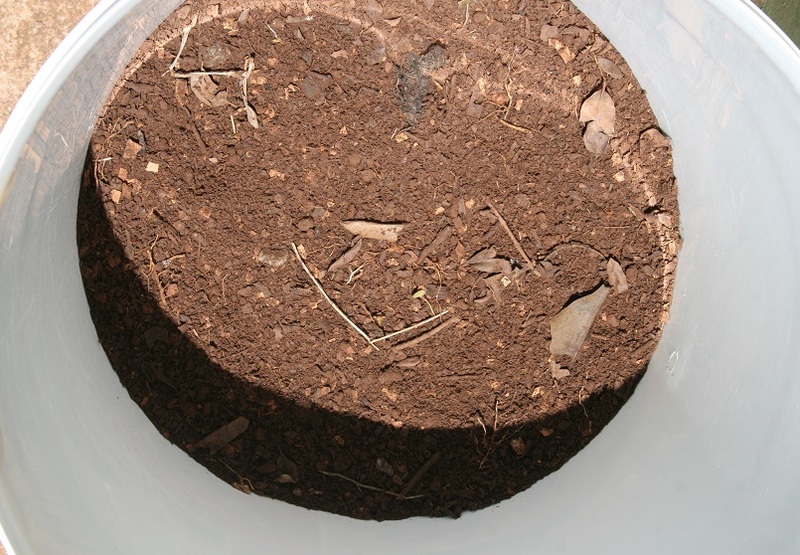 Cover with another layer of soil to a further depth of two or three centimetres. 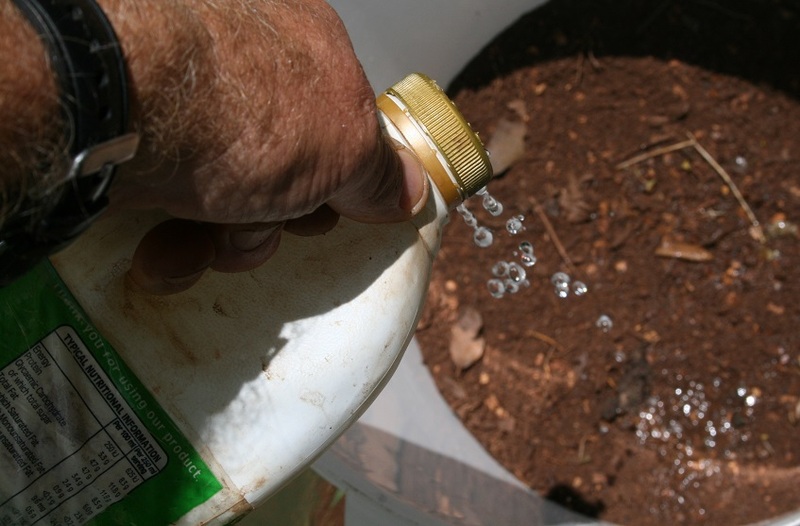 And finally … give them a light watering. In a few weeks if all goes well, little green shoots should appear. When they are approx. 4cm I shall ”earth up” ( cover them with another layer of soil and allow the top leaves to poke through). Continue with this until the plants have grown to the height of the container. ( one hopes). I shall, of course, keep you posted on the progress. Previous It fluttered by …. And to harvest all you need do is dump it. No digging. That was a major selling point, make no mistake! I read this a while back. There are more people doing this all the time on very little space. https://www.mindbodygreen.com/0-25016/meet-the-family-growing-6000-pounds-of-food-a-year-in-their-la-backyard.html. My daughter and I are starting a project and hope to go a year without going grocery shopping. Going to be a fun project. Laundered shirt pockets? Hehe. Storage Nan, storage. Some things well have to stock up on. Well, at least you’ll be prepared for that 9.0 Cascadian earthquake. Even if you’re far enough inland not to be washed away, it most likely will still have an effect on the coastal states. But if you go too far east Jim, then you are firmly inside tornado alley which is seeing a rising trend in F-5 tornadoes! Do you own red slippers and a Cairn terrier!? I have a feeling you and your kid will make a serious go of your project. We’ll have to trade tips and monitor progress. I suspect I will be nagging you for advice sooner rather than later! Then you probably won’t want to know what it was like down here? But let’s just say the wife moaned at me for not putting the sunscreen back in the bathroom cabinet. We get a bit of frost in May/first week in June, and while it does gets cold it is nothing compared to what you lot are having. It was -7° yesterday. 14 is balmy. Cold enough to have to sit down to pee! Get the kids to chip the ice off the seat. Give ’em something to do to learn responsibility! Will there be a batch of Reds taters? Your boys are back on top. Those last 2 goals were pretty. I know it was Bournemouth, but Wijnaldum’s goal/touch was gorgeous, and the combo between Firmino and Salah was exquisite! My goodness Klopp has them clicking on all cylinders! Chef skills I leave to others in the crew. If I can grow a decent crop I’ll be more than content with my efforts. Yes, I’m smiling this evening! Tomorrow I will have my dark blue shirt on! For an hour and half at any rate. Hahaha! I’m pulllin’ for the Reds this season. I really REALLY like Klopp’s managing style, not to mention his infectious personality off the field with media, etc. I think it’s his teeth. I heard he sent then out on loan for a while ( including a whitening and a polish) and they have come back better for the spell away. They move almost independently now, have you noticed? Hahahaha! Independently? Like those C-class Asian movies with English translations that don’t quite line-up with the Asian mouths talking??? Exactly! I think Jurgen’s Teeth will probably go for elocution lessons in the summer to teach them Scouse. I’ve taken the liberty of trying to copy your chattering teeth thingy … if it works for me I’ll use it with mad abandonment, thanks for dat! Umm, Ark. I think you need to find a much DIFFERENT dark blue shirt/kit. My goodness, it’s like City is out there on the training pitch playing against a bunch of shy boys. Watch for Sarri on the unemployed line this week. Hahahaha! We do too! Can you bring some lighter-fluid and 50 lbs charcoal briquettes!? Bring marshmallows too, okay? 🔥 Leave the fire-extinguishers home. We like ’em crispy and crunchy!!! The marshmallows that is. I’ve had good success in the past growing spuds in large containers. Good luck. You can follow along with the progress as the season progresses. No. Please do. Pop over to my blog ‘n put ’em up! I ran a horticultural therapy program for 20 years for a local social service agency that serves clients with developmental disabilities. We worked out of a huge greenhouse and had small veggie, annual and perennial gardens around it we took care of. Hard, hard work, but fun, too. We know someone who regularly did this in 44 gallon drums and grew sacks and sacks of potatoes. He maintained this was the right way to go at all times, leaving open ground available for other plants. Well I am on my way with the Grow in Tubs and we shall see what happens! Might lead to a rainwater tank in due course! In actual fact, the subject was raised at dinner the other night! I wonder what the limit of levels comes to in practical terms? One would imagine a stage is reached where the lowest ones are no longer usable. If I’m understanding you correctly? From the videos I’ve watched the seed potatoes are planted at the same level. As the plant grows up the potatoes sprout from the roots/rhizome? They are ready to harvest once the flowers drop off and the plant wilts and the leaves begin to turn yellow. Sounds about the same for growing in the soil, but the yield is usually higher. The system I’ve heard about creates successive layers of potatoes above the seed ones, and finally the container full of potatoes is harvested. I watched a couple of vids today – the Welshman, Neil, uses tubs ranging from 30 to 100 gallons and, yes, the taters ripen at different depths but all relatively close to each other. Perhaps it depends on the amount and density of soil? But the harvest time is when the plants keels over and the leaves turn yellowish. The potatoes I have dug from the ground vary in size but they are all edible.